Joshua Widlansky has been associated with the attorneys at Padula Bennardo Levine, LLP since 2010. An experienced litigator, Mr. Widlansky has completed over 40 jury trials. He has successfully represented plaintiffs and defendants in complex business disputes, involving fraud, contract claims, breach of fiduciary duty, and other business torts. Mr. Widlansky concentrates his practice on commercial litigation matters, real estate litigation matters, franchise litigation, white collar crimes, and defending forfeiture actions at both the federal and state levels. Prior to joining the firm, Mr. Widlansky served as an Assistant State Attorney with the 17th Judicial Circuit of Broward County, Florida. 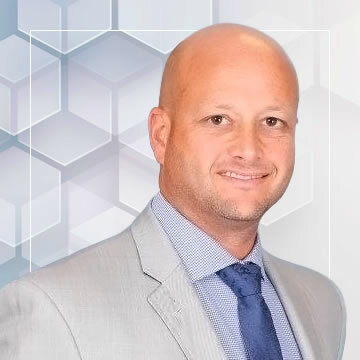 Mr. Widlansky received an undergraduate degree in accounting from Florida Atlantic University in 2004, and is a graduate of St. Thomas University School of Law (2007). Obtained a favorable final award on behalf of a former franchisee of a national franchise system after a week-long arbitration hearing with a three-member panel. Panel concluded that former franchisee was free to compete against franchisor after termination of franchise agreement because Panel found that the restrictive covenants were not valid and enforceable. Panel further rejected franchisor’s attempt at obtaining any future lost profits. Obtained a favorable final award on behalf of realtor after a final hearing in arbitration. Panel concluded that realtor was entitled to his full commission. Prevailed on summary judgment for defendants in a fraud claim in the Southern District of Florida. Paul Gauguin Cruises, Inc. v. eContact, Inc., 2011 WL 810718 (S.D. Fla. March 1, 2011). Successfully appealed to the Fourth DCA in a matter involving a member of country club. Fourth DCA reversed based on trial court improper consideration of unauthenticated evidence. Berkowitz v. Delaire Country Club, Inc., 126 So. 3d 1215 (Fla. 4th DCA 2012). Prevailed at obtaining preliminary relief on behalf of client in the automobile brokerage industry after an Ohio Federal Court ordered the United States Government return the firm’s client’s over $1 Million and two luxury automobiles. Court found the Government lacked the requisite probable cause to continue to detain the defendant property during the pendency of the forfeiture action. Successfully negotiated favorable settlements on behalf of numerous clients in the automobile export industry resulting in the return of assets and the dismissal of forfeiture actions.